Tourist arrivals from Finland to Greece are expected to post a significant increase in 2018, the Greek National Tourism Organization (GNTO) said on Wednesday following its participation in the MATKA Nordic Travel Fair 2018 in Helsinki during January 19-22. MATKA is the largest travel industry event in Northern Europe. 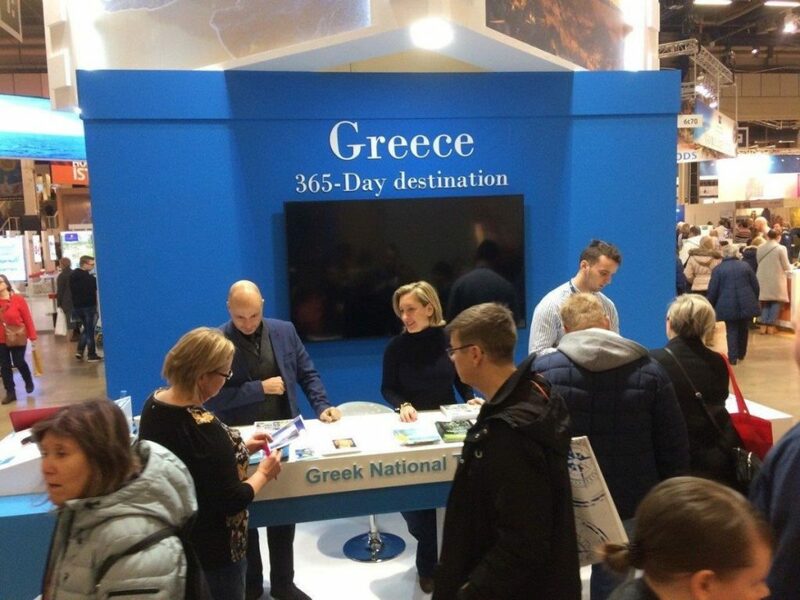 The GNTO represented Greece in a 60-square-meter stand at the Messukeskus exhibition center, which hosted a number of coexhibitors including the 18-member federation of Finnish-Greek associations, representatives from the Crete regional government, travel agencies and hotel chains. During the fair, the head of the GNTO office of Scandinavia, Pavlos Mourmas, held meetings with representatives of Finnish travel agencies and alternative tourism agencies in search of including new Greek destinations within their travel programs. Mourmas also met with the president of the Association of Finnish Tourism Organizations (SMAL-AFTA), Heli Mäki-Fränti, and discussed the organization of a joint presentation of Greece’s alternative tourism products to members of the association. Some 600 companies participated as exhibitors in this year’s MATKA fair, including tour operators that bring have the largest number of tourists to Greece. According to the GNTO, MATKA 2018 attracted over 64,000 visitors. “The majority of visitors showed particular interest in Greek destinations and the alternative/thematic tourist products of our country,” the GNTO said.